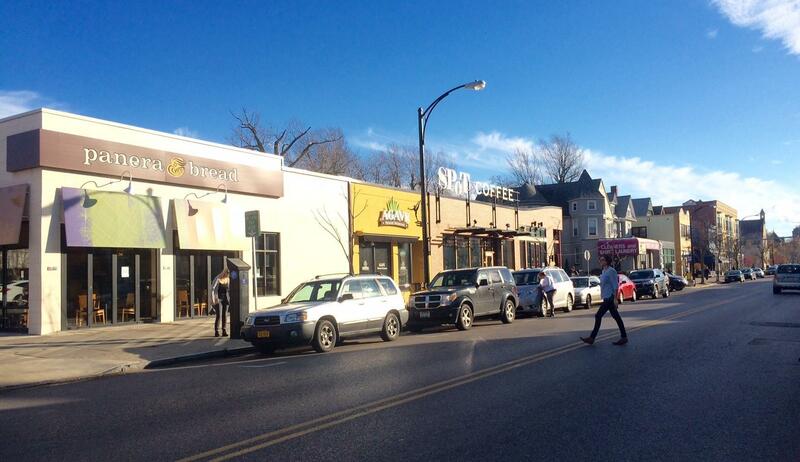 Are the vacant storefronts in Buffalo's Elmwood Village symptomatic of larger problem? For supporters of Buffalo's Elmwood Village, the good news is major development along the popular shopping strip. The bad news is that there are a lot of vacant storefronts. However, there is a push to figure out why the gap. Everyone appears to agree the problem is cyclical, but may be worse than usual. A survey says there are 31 vacant storefronts between Forest Avenue and Allen Street, which is higher than normal. Common Councilmembers David Rivera and Joel Feroleto have set up a task force to address retail, working with State Sen. Chris Jacobs and Assemblymember Sean Ryan. The Delaware District's Feroleto and Niagara District's Rivera represent different sections of the Elmwood Village. For shoppers, the attraction has always been those little stores that sell something not available at the big retailers, but there is online shopping as well. Feroleto said there are situations that mix issues, as in a recent restaurant visit. While some areas like here on the Elmwood Strip thrive, others struggle. "In the 10 minutes that I was there, I saw three different Skip the Dishes drivers coming in to pick up food to deliver to people," he said. "If you think about that, if the people didn't have those food options delivered to their house, then, if they are in the restaurant, you get five or six more people in the restaurant at that time, walking up and down the street, doing some window shopping." However, that is just the tip of the iceberg, said Rivera. "Signage, a parking plan, a comprehensive parking plan, a business plan, government assistance - what's out there? How can we help?" he asked. "If we can put all this together, that would mitigate some of the problems that we're experiencing right now. It fluctuates. Will it be perfect? No." 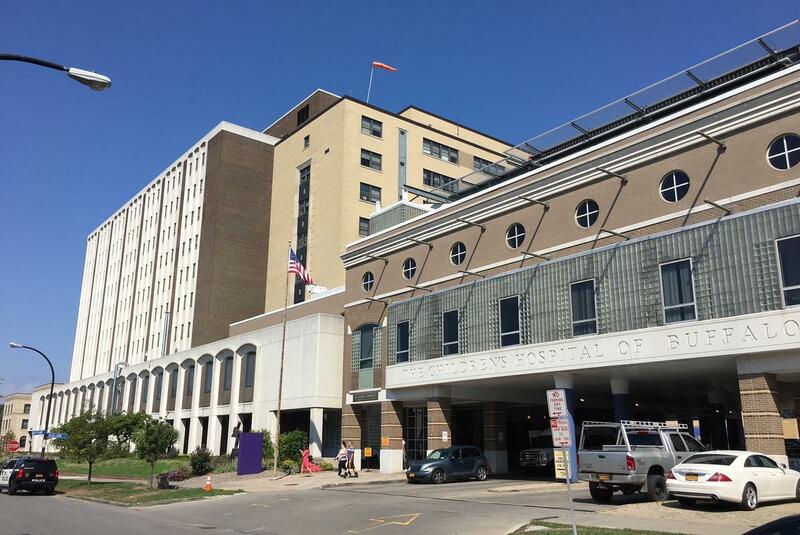 There are many moving parts and significant disruption issues, like the restaurants and businesses hit when Women and Children's Hospital moved to the Buffalo Niagara Medical Campus. Sinatra & Company Real Estate and Ellicott Development are looking to get a replacement project started, but that will take a while to open, as there is strong opposition. 'The demographics are very strong. We remain very bullish on the Elmwood Village," said Sinatra's Amy Nagy. "Speaking specifically to Sinatra & Company Real Estate, we made a substantial investment in real estate assets, all along Elmwood. 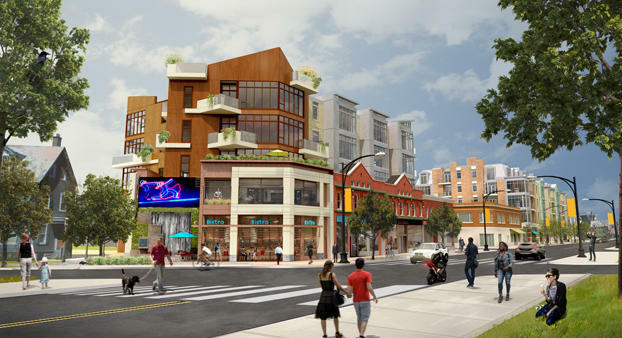 So we recognize that there is a little bit of transition right now, but we remain fully confident that the Elmwood Village is going to retain its vibrancy." The loss of Women and Children's Hospital to the Elmwood Village is being felt by neighborhood businesses. There are also development issues at Elmwood and Forest, where Chason Affinity is building a large project, replacing affordable housing and small businesses. A lot of businesses also closed at Elmwood and Bidwell Parkway for two planned buildings by Ciminelli Real Estate. Elmwood Village Association President Wendy Sanders said her group is looking at an array of marketing opportunities in the residential neighborhood that also features a major college and national recognized cultural attractions. "The Buffalo State population is a great opportunity," Sanders told WBFO. "I also think just the residents themselves, who live in the village, making sure that they know and they are aware of the new stores that come in and the stores find new and more sophisticated ways to address them and to market to the residents, as well as I believe that cultural tourism is a critical element." Sanders said the association has just added a second staff member and has interns from local colleges each year with expertise on marketing and social media to spread the word on the continuing attractions of Elmwood. Ciminelli Real Estate has unveiled plans for a mixed-use development project slated to transform 11 properties in the area of Bidwell Parkway, Elmwood and Potomac Avenues in the City of Buffalo. With the Buffalo Preservation Board meeting Thursday to listen to a request for massive demolitions in the Elmwood and Bidwell area, opponents are demonstrating Wednesday against the plan. After 30 years of plans and altered plans and new plans, the way may finally be clear for a major construction project at Elmwood and Forest avenues, replacing buildings past their prime. However, there is almost certain to be a lawsuit against the Chason Affinity project. The decades of fighting over development in the Elmwood Village haveoften involved a group objecting to the plan of a developer for a particular piece of property. A new strategy, led by New York State Assemblymember Sean Ryan, proposes an alternative to Chason Affinity's plan for Elmwood and Forest avenues.